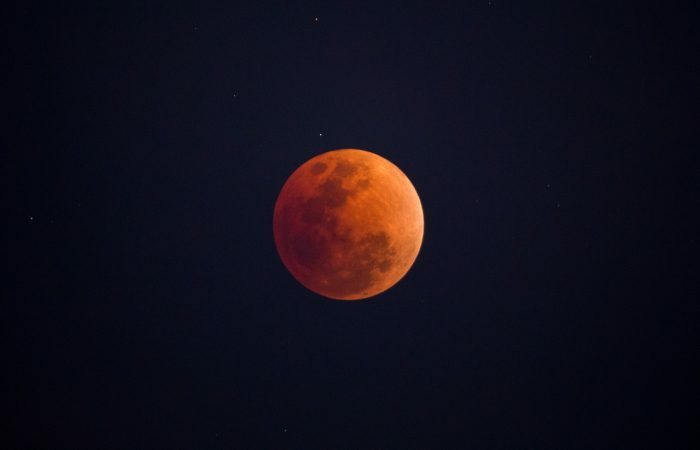 (The Express) The Moon is turning red around the world, stunning millions of people stargazing tonight. People in Athens have been gathering since the late afternoon to watch the phenomenon from the ancient Temple of Poseidon, in the oldest part of the city. The total eclipse, the longest of the 21st century, will last one hour, 42 minutes and 57 seconds, though a partial eclipse preceded and follows, meaning the moon will spend a total of 3 hours and 54 minutes in the earth’s umbral shadow, according to NASA.